Senior Sam Ledesma earns the United Dairymen’s Association Distinguished Student Award (DSA). Sam was interviewed by Doug Petcash of KTVB on March 21, and his segment will appear Thurs. March 27 on the 10:00 p.m. News. 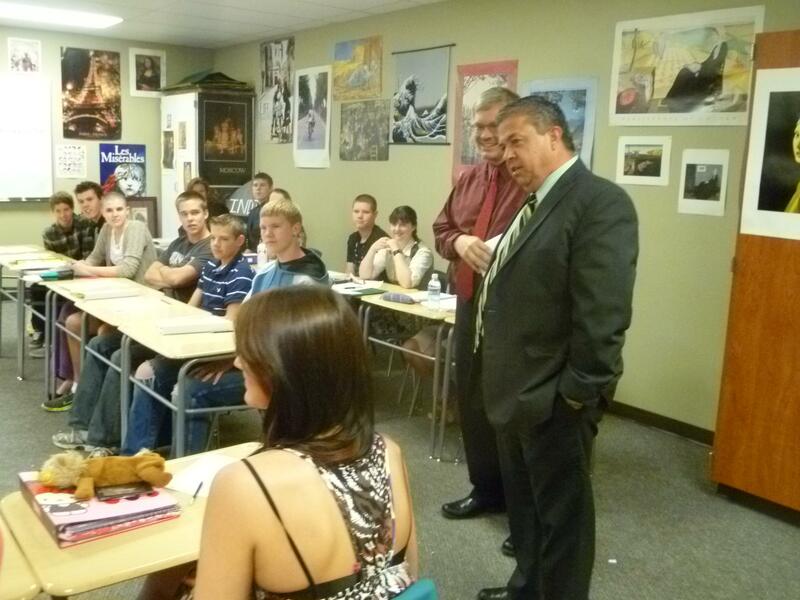 May, 2013: North Star named #2 High School in state of Idaho, and #135 in U.S.
School Superintendent Tom Luna visits North Star to congratulate our school on passing our AYP (Adequate Yearly Progress) standards in ALL categories (41 separate measurements); an amazing accomplishment. In fact, North Star has surpassed its AYP goals every year in all 10 years of its existence! Sup. Luna stated we need more schools like North Star! May, 2012: Two North Star seniors selected for the United States Naval Academy!